Happy New Year all. I hope everyone had a happy holiday season, no matter how you celebrate it. I do have a post coming on 2013/2014 but I’ve been procrastinating and pondering and trying to figure out a few things first. In the meantime, I spent Boxing Day at my mom’s. Sometimes, you just need to go to your mom’s for some soup and to have somebody reassure you, even if in not so many words, that you’ll figure it all out. 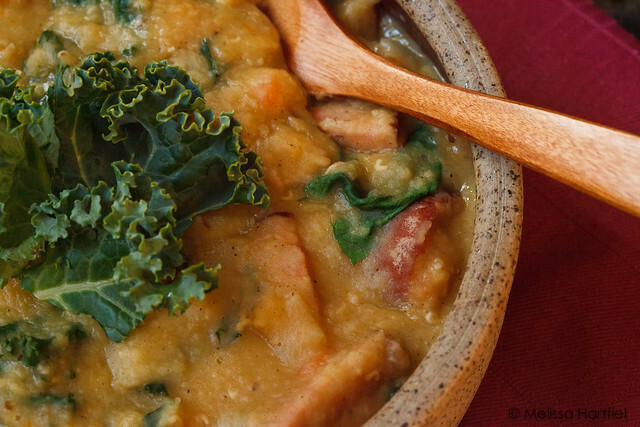 My mom decided to make soup and I’m going to be honest… when I saw what was in it, I was not terribly excited about it: lentils and… kale. I know, kale is cool. But I just don’t get it. I’m much more excited that cauliflower is now the new cool thing because I loves me some cauliflower. 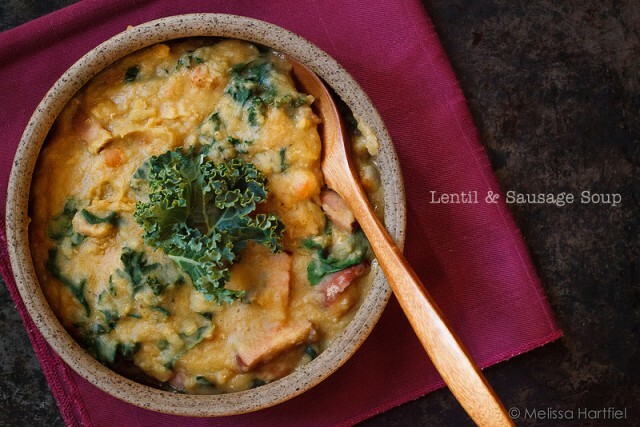 Anyway, lentils… it’s not that I don’t like them. They taste just fine. It’s a texture thing for me. Ever since I was a kid I’ve never liked foods that weren’t… juicy. I don’t like things that have a grainy mealy texture. I’ll eat them if put in front of me but I never cook them myself. But you know, it’s your mom. So you eat it. And ok, but she sold me on lentils with this soup. This was so good that I actually went out the next week and bought… kale. Because the recipe called for it. It also called for Italian sausage, which made up for the kale (you can also use spinach, which I think I will try next time because, let’s be honest, it’s not kale and I like the flavour better). When I asked my mom for the recipe she laughed and said it’s the recipe on the back of the Safeway brand lentil bag. And she plopped a bag of Safeway lentils in my hand and sent me home with them. Umm… well ok then! 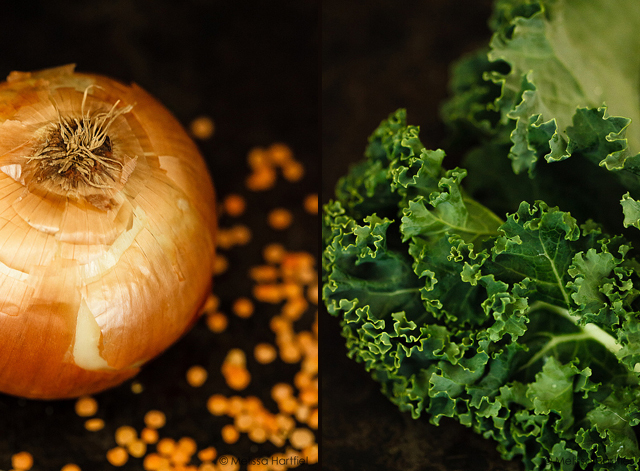 The one thing I will say about kale is, it’s beautifully photogenic. I could have photographed it all day long! 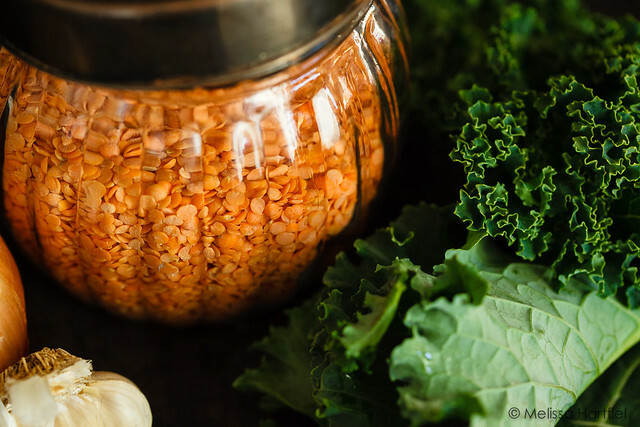 For those of you who may not have access to a Safeway or a Safeway bag of lentils, I thought I’d share the recipe with a few minor tweaks I made – mostly garlic because you can never have too much garlic and it helps keep vampires away. Or zombies. One of those things. I can never remember. But either way, it’s always good to keep zombies or vampires away. What a great post (and pictures). Lovely little tribute to your Mom. I hope that you do *figure it all out* in time and so glad that your visit to your Mom’s helped you out a bit with that. Kale is something that I will eat if served to me but not something that I would go out and purchase myself…missed jumping on that bandwagon. Having said that, this is one hearty and comforting looking soup. Happy New Year to you Melissa. Hoping that it is an enjoyable one for you. 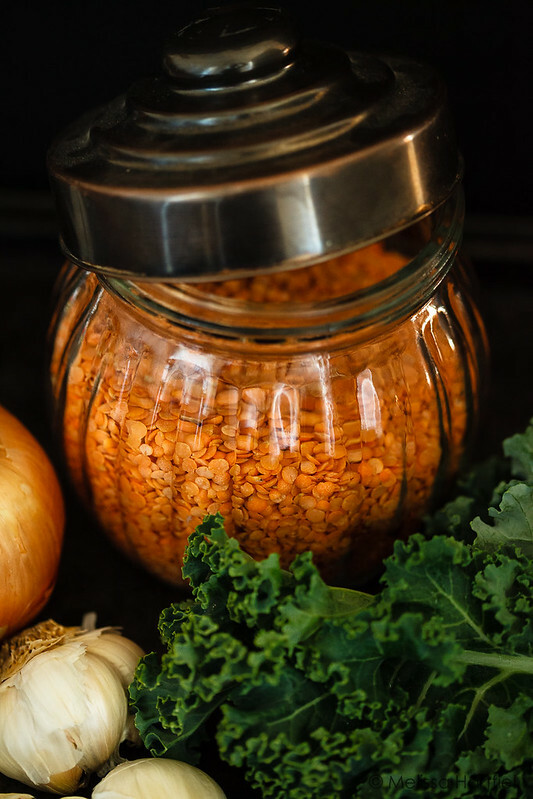 Fabulous post and photos – I’m in love with your lentil jar! Sausages are the perfect comfort food for the wet and miserable weather we’re also having in the UK at the moment. 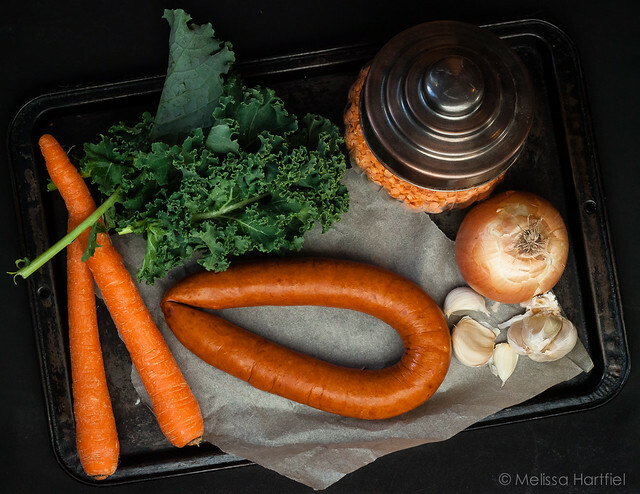 You inspired me to make the soup over the weekend and it was delicious – it definitely made my insides warm and happy 🙂 I made it with a regular good quality pork sausage and it was still full of flavour. Thank you for sharing the recipe.